I got this No7 Extravagant Volume Waterproof Mascara from a Boots Summer press event and didnt really think too much of it at first. I used it a few times but decided to give it a people whirl in preparation for my holiday. I need a decent waterproof mascara to wear in the sun and while lounging around the pool. Yes Im one of those people that wears makeup on holiday! 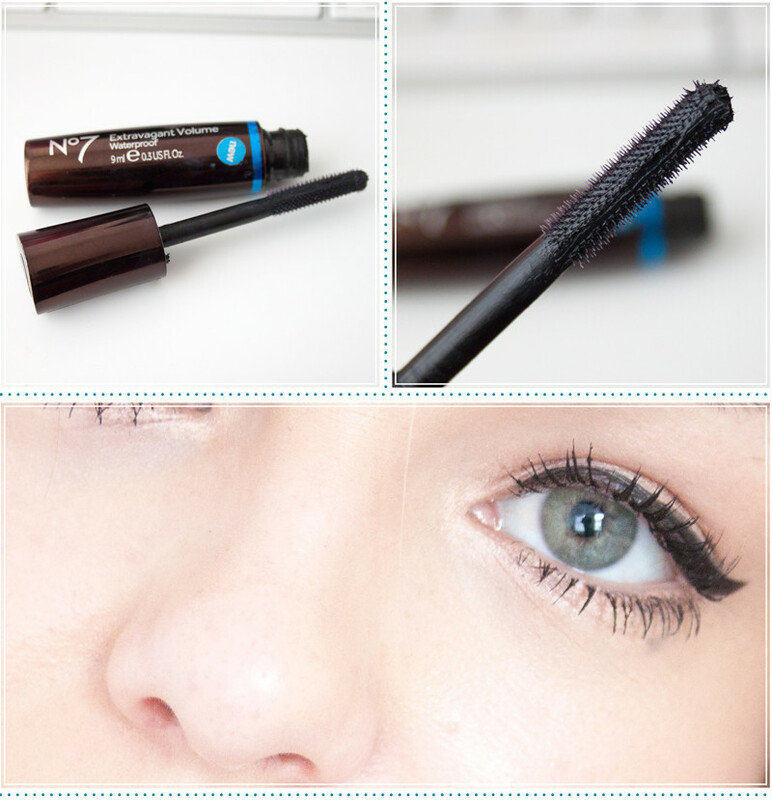 The mascara itself is in a small stubby little container and has a thick plastic wand. I found the brush easy to use and it coated my lashes with minimal effort. 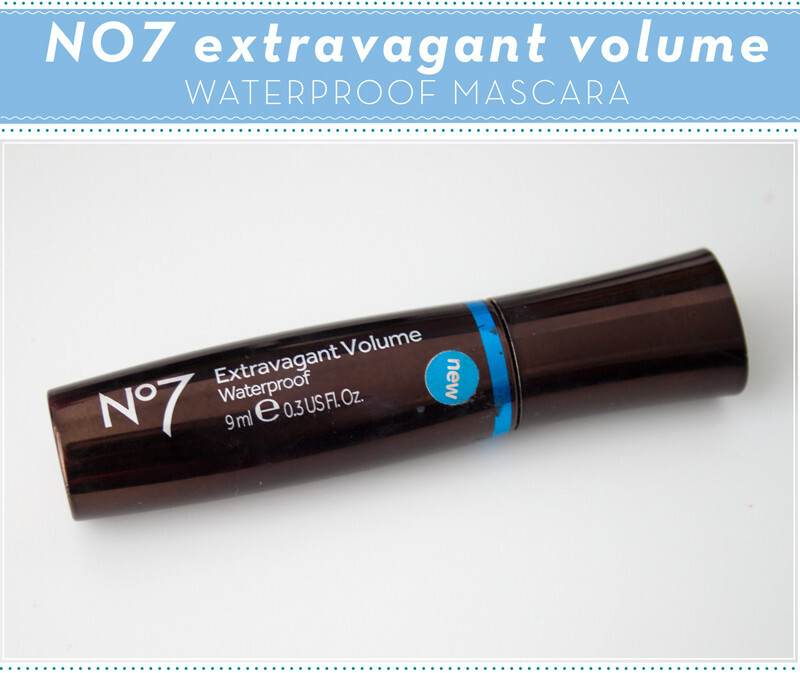 No7 Extravagant Volume Waterproof Mascara that it lasts all day with no running or smudging and I don't find it migrates or flakes off during the day. While I've not tested it's waterproof-ness extensively (i.e in a swimming pool) it has survived my last few weeks of hayfever hell without going all over my face. The formula is great for volume building and gives that false lash effect but can get a little clumpy if you over apply. Depends how you feel about spider lashes, Admittedly I'm a fan so that isn't too much of an issue with me. It reminds me a little of the Clinique High Impact Extreme Mascara in formula and wand. I do really like this and don't think it's too badly priced for a highstreet/drugstore mascara. Like I said it's very similar to the Clinique one and gives similar same results for a few pounds less. We all know Im a bit of a n00b when it comes to applying mascara but it was suprisngly easy to use this one! I'll have to report back on it's effectiveness in a swimming pool once I get back from my Holiday!